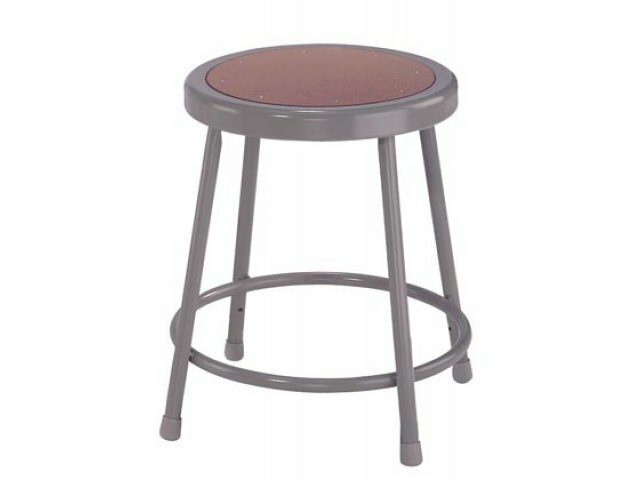 These 6000 Series Metal Stools are perfect for any science or art lab. Gray frame with hardboard seat. Strong: Features a 20-gauge die-formed steel pan with fully curled edges for strength and safety. Sturdy: Two seam-welded U-shaped leg sections of 18-gauge, 7/8" o.d. tubular steel frame. 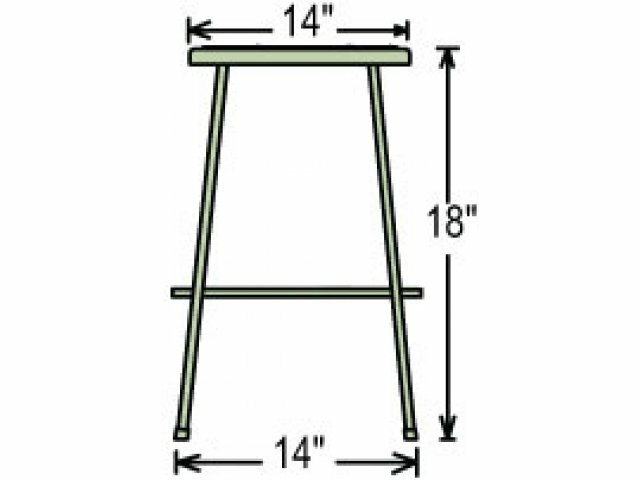 Adjustable: Adjustable-height stools feature self-leveling glides. The legs require some assembly. 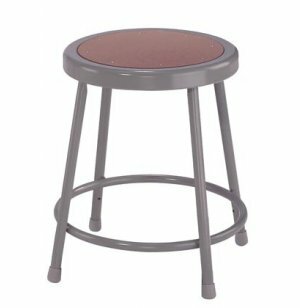 Compact: Stool Seat Size: 14" Diameter.